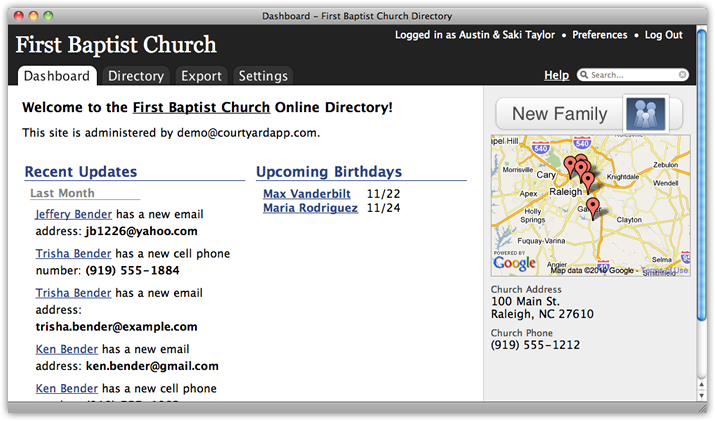 The dashboard contains a variety of useful information about your online directory, including recent changes to the directory, upcoming birthdays, and an interactive map. Clicking on the map will make it fullscreen, and clicking on one of the markers will show you which of your members lives at that location. 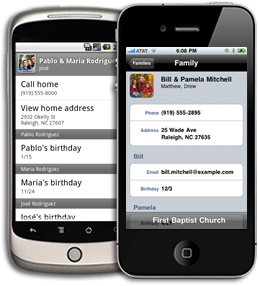 We make it as easy as possible to add new people to your directory, so you won’t put it off! We’ll import your existing data so that you don’t have to enter it manually. We prefer Excel files, but we will work with whatever type of file you have. The last thing you want is to have a problem with your online directory, and no one to help you fix it. That’s why we offer unlimited email and phone support with every plan. All the information about a famliy is kept together, and presented in a clean, organized fashion. We provide a clean, intuitive interface for editing your member’s data. It’s now easier than ever to keep everyone up to date. 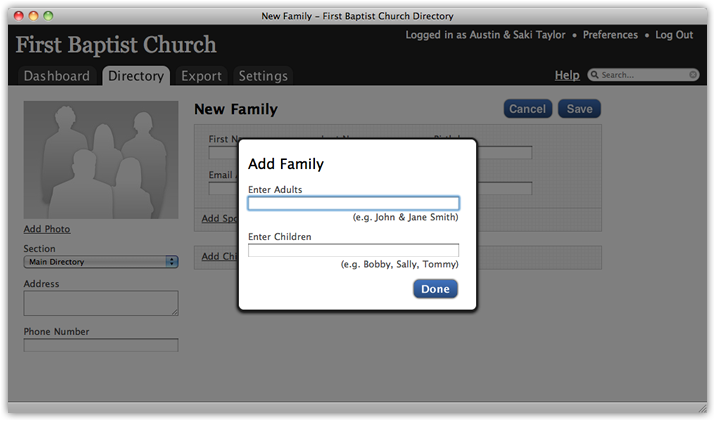 Individual members can edit their own entries in the directory, which helps to reduce the workload on the directory administrators. We provide high-quality printouts as PDF files, which you can either print at home, or send to a professional printer. We currently provide a photos printout (pictured), a directory printout, and a birthday printout listed by month. Add new fields. Make some fields private. Choose which fields to print and export. 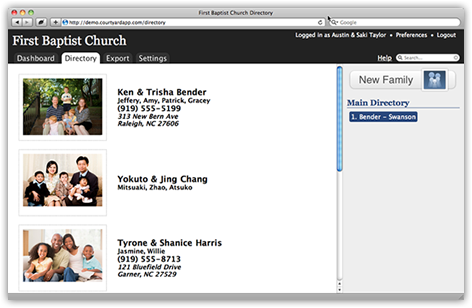 There are hundreds of ways to customize your online directory, so that it works exactly the way you need it to. 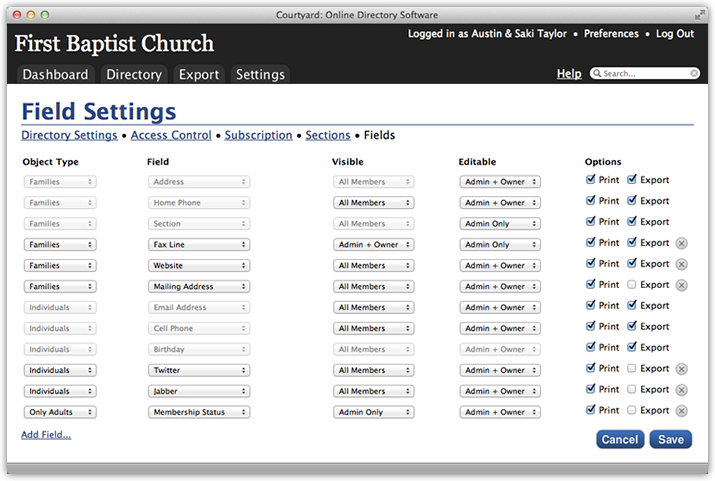 When you sign up for Courtyard, you will be automatically be the first administrator of your directory. You can add as many people as administrators as you like. 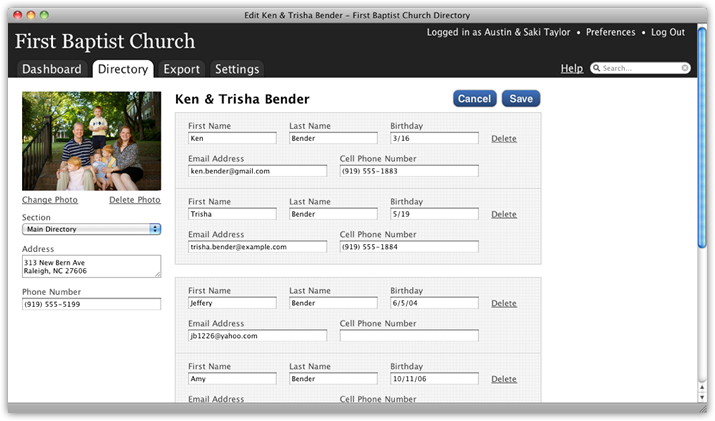 Administrators have the ability to edit all entries in the directory, and modify settings. We provide an online manual which contains detailed instructions for using every feature of your online directory. If you would like more information about how Courtyard works, you are free to browse the manual before you sign up. You can break your directory into sections, which affect both the web interface, and the printouts. The number of sections you can have is based on your subscription plan. 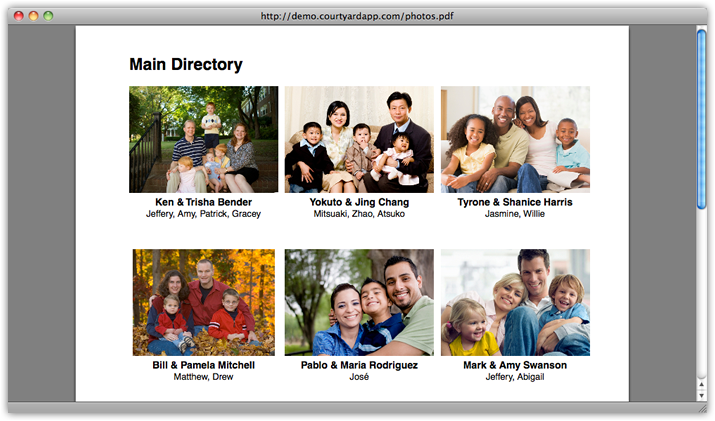 The larger directory plans include directory statistics, which allow administrators to view certain statistical information about their directory, such as the number of children, or the number of families which have pictures. We care about privacy just as much as you do. 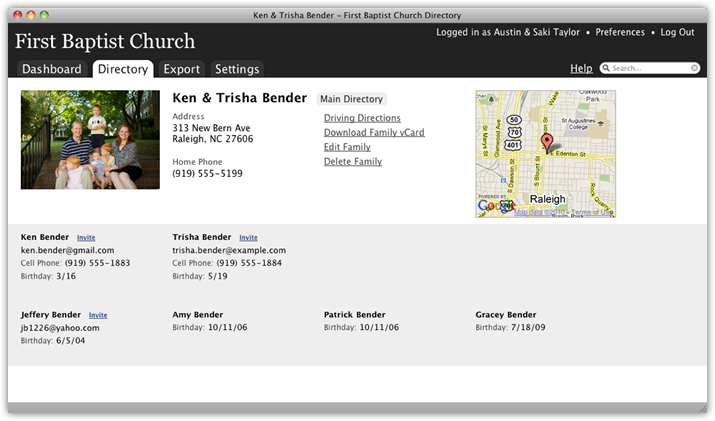 As an administrator, you will have total control over who has access to your online directory. Or, try our Live Demo.